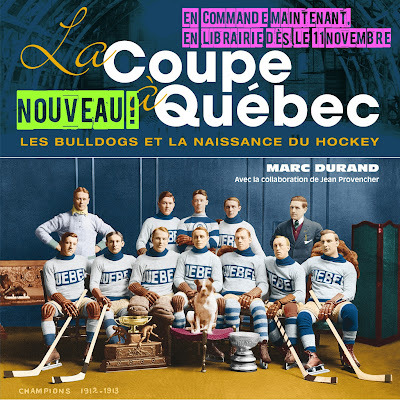 When it comes to hockey history books, the Quebec Bulldogs are largely ignored. Author Marc Durand is hoping to change all that. 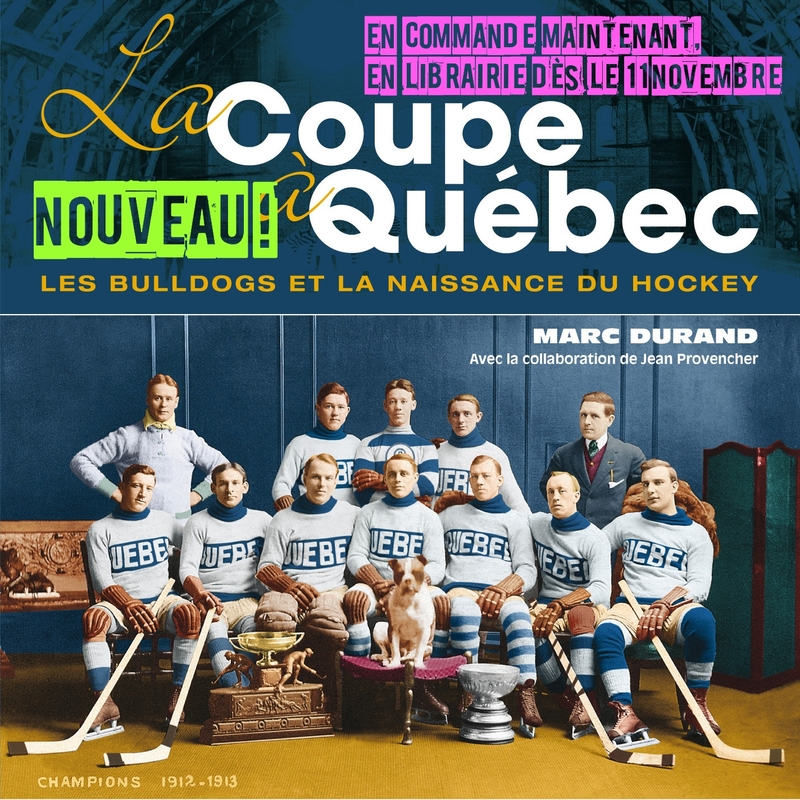 He is currently working on a book about the team that he expects to be issued in time to honour the 100th anniversary of the Bulldogs' 1911-12 Stanley Cup. La Coupe A Quebec is only available in French for the first edition, though author Marc Durand assures me he is pushing for a 2nd edition translated into English. There are about 150 photos throughout the book, which will intrigue us anglophones. My last name suggests I should be able to read this book but unfortunately I know very little French. It is a shame as I'd love to learn more about one of Canada's great forgotten teams and the generation of hockey that proceeded the National Hockey League. I have gotten to know Marc by following his intelligent posts on the Society For International Hockey Research email forum. I have full confidence that Marc is the perfect person for this project, combining not only expertise and ability but most importantly passion for the topic on hand. The audience may be somewhat limited, but this book guarantees to be of the highest authority.